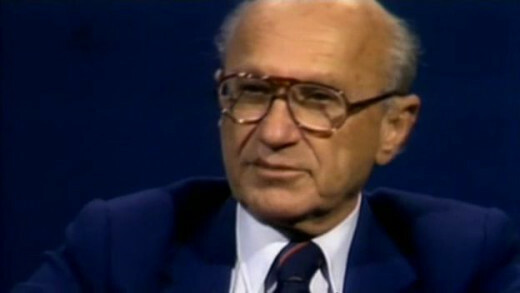 By comparing the confluence of ideas about modifying behaviour using shock therapy and other forms of sensory deprivation (which culminated in the top-secret CIA project called MKULTRA during the 1950s) alongside the metaphor of similar shock treatment modifying national economics using the teachings of Milton Friedman and the Chicago School of economics, The Shock Doctrine presents the workings of global capitalism in this framework of how the United States, along with other western countries, has exploited natural and human-engineered disasters across the globe to push through reforms and set-up other mechanisms that suit those in power and ‘shock’ other countries into a certain wanted behaviour. Chronologically, some historical examples are the using of Pinochet’s Chile, Argentina and its junta, Yeltsin’s Russia, and the invasion of Iraq. A trumped-up villain always provides distraction or rationalisation for the intervention of the United States—for example, the threat of Marxism, the Falklands, nuclear weapons, or terrorists—and further, is used by those in power as more justification for the great shift of money and power from the many into the hands of the few(er). The Road to Guantánamo is a docu-drama about the incarceration of three British citizens—otherwise known as the Tipton Three—who were captured in Afghanistan in 2001 and detained for more than two years by the United States in Guantánamo Bay Naval Base, Cuba. The three were held in mostly solitary confinement and without legal representation for that time, after being released in 2004 without charge. 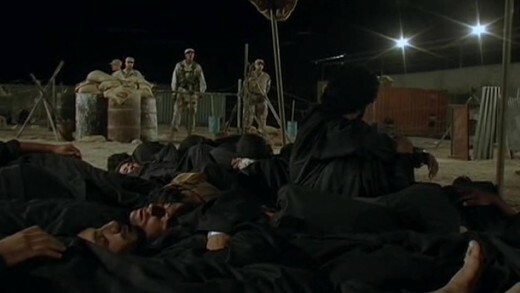 Based on interviews, The Road to Guantánamo reenacts their experience in the camp, depicting the use of torture techniques such as stress positions, and attempts by the United States Army and CIA interrogators to extract forced confessions of involvement with al-Qaeda and the Taliban.